MSD is making Atomic EFI the simple solution for your LS EFI needs. Start your installation by knowing that you’re getting everything you need for your crate engine. These kits are each designed for a specific engine and are supplied with the Rail Assemblies, Handheld Controller, Power Module and Harness, Wide-Band 02 Sensor and Bung, -6 fittings for the fuel rails and hose for the cross-over. 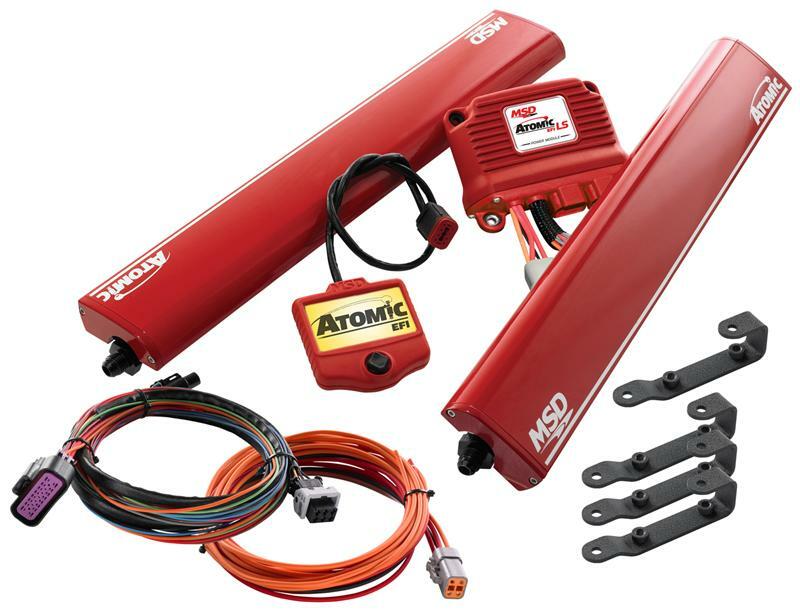 These kits complement the Master Kits and provided the necessary brackets and injector connectors to complete and install for LS1/LS6 and LS Trucks. These kits provide different brackets for the rail assemblies as well as different injector connectors to adapt the LS2/3 Master Kit to work on the LS1/LS6 and truck intakes. Must be used with PN 2950 Master Kit.